My goal was to restore this back to how it looked in 1999. No major off-road upgrades or anything to make it a trail rider. 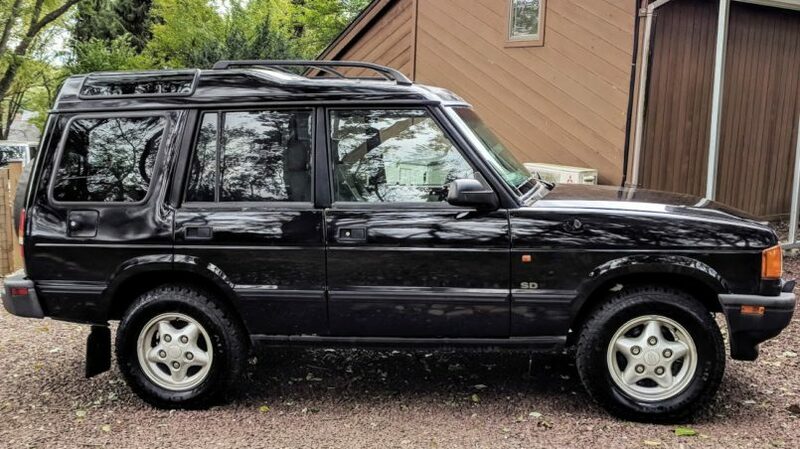 I firmly believe in 15 years or so, finding an unmolested (not modified) Discovery 1 will be like finding a decent Defender in the United States. My quest was on to begin to restore it! 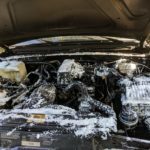 But, admittedly, I am not an expert mechanic. But, I know enough to get some stuff done (and know when my leg is getting pulled), part of many Rover enthusiasts groups (Land Rover Discovery 1, 2, and Defenders owners club) to source parts, get help from friends in the groups (thank you Caleb! ), as well as living by many independent Land Rover service shops (Hunt Valley Eurocar, thank you Brendan and British Boneyard, thank you Randy) . Next on my list is to replace the sagging headliner and repair the leather seats. After that, I’ll do another full inspection and probably come up with additional bits I need to replace related to small broken plastic items inside the truck. Below are some more pics and a few video walkthroughs I made. Around 1986, Land Rover started an underground project code named “Project Jay” which was to be another off-road SUV in the Rover lineup. Sales for the Bronco, Wagoneer, Patrol, and Land Cruiser were taking off and Land Rover wanted some of the action. 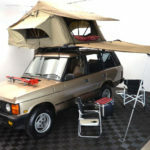 Introduced to the public as a 1989 model, the Discovery platform was borrowed from the more expensive Range Rover at the time and only initially available as a 3-door. The 5-door version would come to market a year later in 1990. This prompted Land Rover to change the One Ten and Ninety name to “Defender” to reduce confusion of the incoming little brother. The U.S. would wait 4 more years to see the Disco. This first generation ran through 1998 until the Discovery II was introduced. In 2004, DII production ended and for Americans, so did the Discovery moniker. In reality, the LR3 is just the 3rd iteration of the Disco and same for the LR4. People have been saying for years that you really should start storing away nice examples of the Discovery. As the Range Rover Classic market has already exploded and prices well on the rise, the Disco is a not-so-well kept secret anymore.